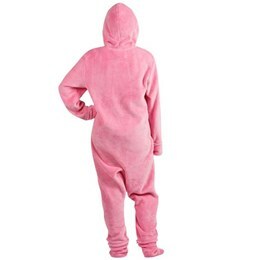 Comfy-cozy just got a bit more personal, with unique pajamas and pajama gift sets that like to snuggle throughout the night. From dreamy night shirts to toasty-toed, adult footed pajamas (complete with hoods!) 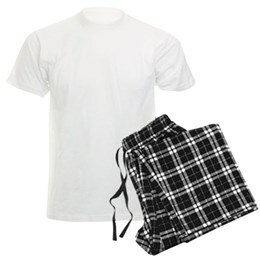 all the way to family pajama sets, you can design PJs you'll all want to wear around the clock. 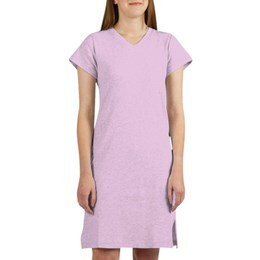 Discover true comfort when you customize these—choose from 100% cotton jersey night shirts, 100% cotton Tees with flannel bottoms, or plush, head-to-toe cozy, footie pajamas. If only your week held a Pajama Friday! Oh, wait, it does, but it's called Saturday. Night, day, weekend, or work week, these pajamas steal the show with your custom design that's sure to shine (even in the dark). All you have to do is create...and upload; no minimum order, and get discounts for bulk orders. Then you'll be stylin' all night long and even into the workday if the boss will let you. But—all dreaming aside, these pajamas—custom-designed by you—are more comfortable than you could possibly imagine. So time to say goodnight, Gracie. Good night!